The Foreign Language Publishing House was a Soviet imprint for literature and political books written in English and targeted at audiences in Europe and the US. Publications began in the 1930s. Numerous series were published after WW2: Classics of Russian Literature (1950-1965), the Library of Soviet Literature (1948-1965), the Library of Selected Soviet Literature (1950-1956), the Library of Marxist-Leninist Classics(paperback, 1946-1951) and the Arts Library (1950). They also published the delightfully named Soviet Children’s Library for Tiny Tots. In the mid-1960s the name of the publisher changes to Progress Publishers. 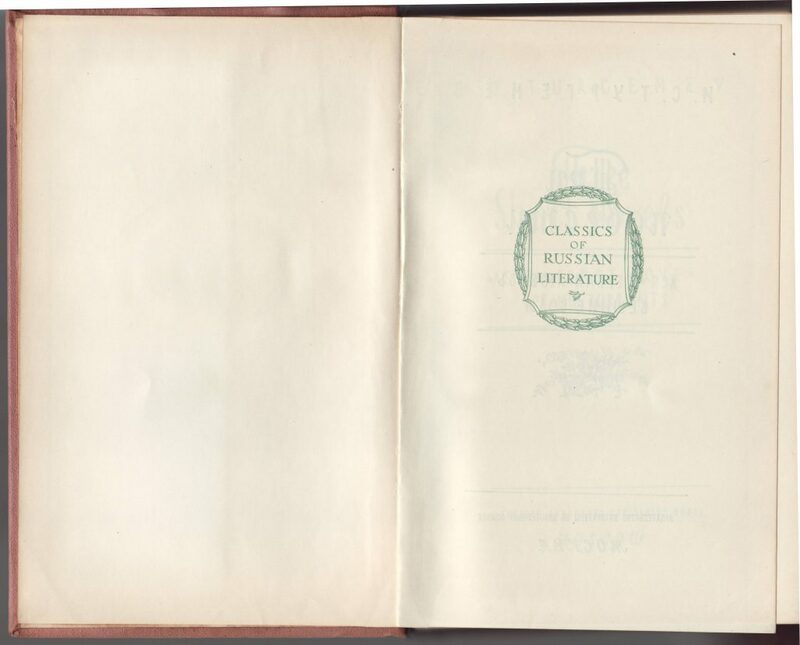 The Classics of Russian Literature were translations into English of around 20 different Russian/Soviet authors, with maybe 30 or so titles total published over the few decades the series was in print. I have not found any indication of how the series was distributed in the US. 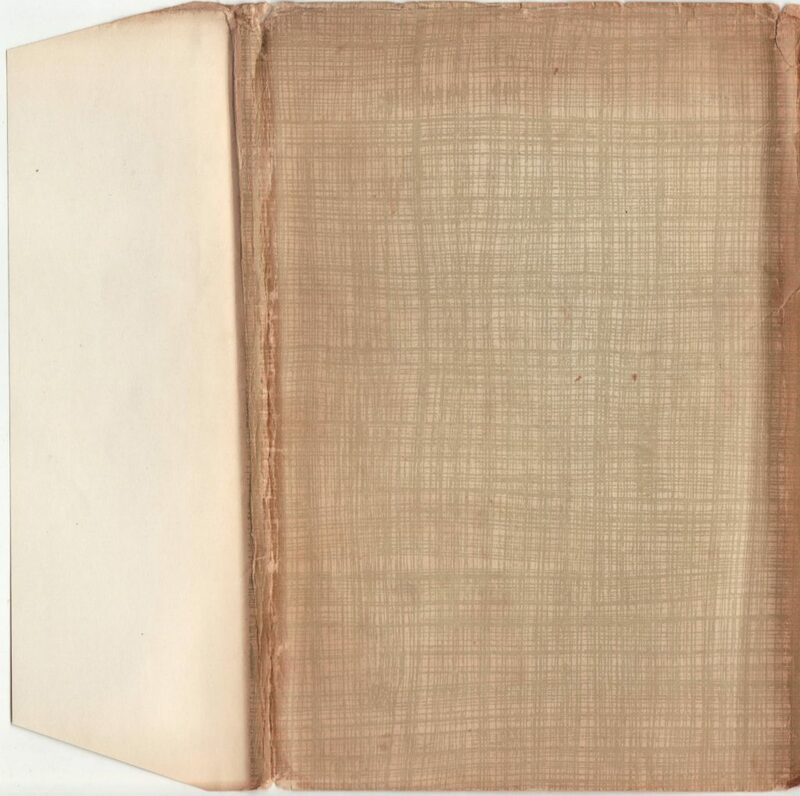 The books were stylishly bound and jacketed, mostly in high-mid-century-modern style. Jackets were unique to each title, and printed on heavy paper. 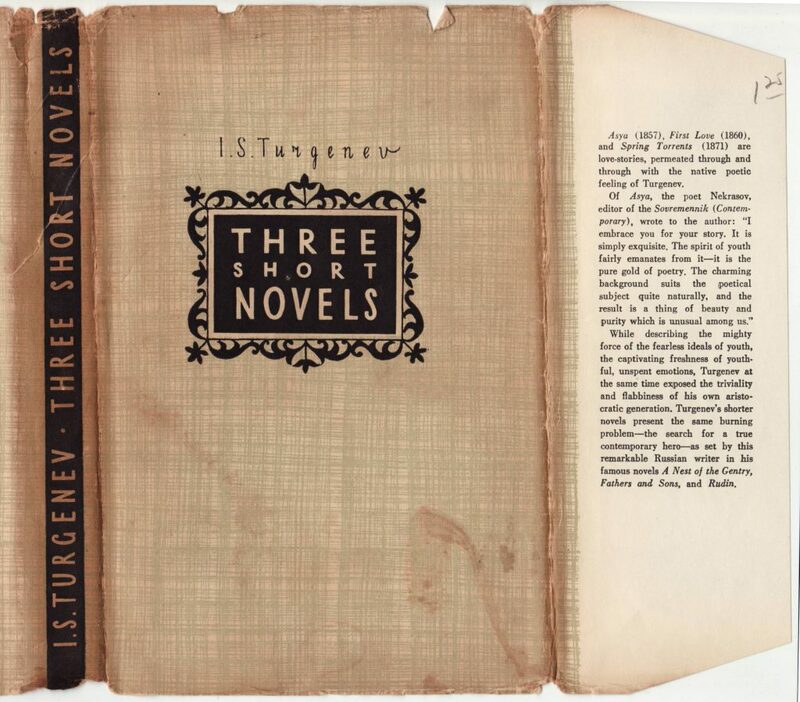 This copy of Turgenev’s Three Short Novels is undated, but likely mid-1950s. A design based on coarse, woven threads fills the jacket front, spine, and rear. The author and title are overprinted on this design. 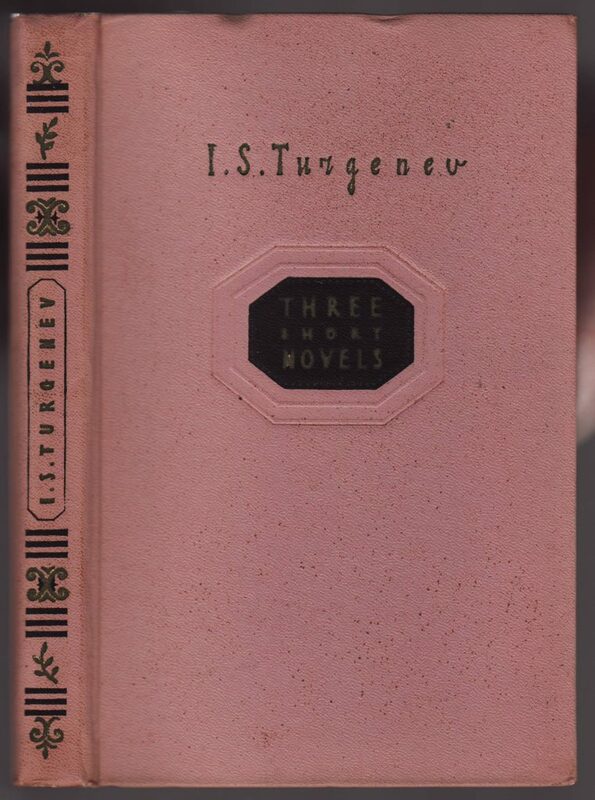 The front jacket flap describes the three works in the volume. The series name is not mentioned on the jacket. The back of the jacket and rear flap are blank, except for the pattern carried over from the front of the jacket. The binding is a puffy pink plastic material with various design elements that suggest, strongly, mid-century modern design. The series name is printed, in green-blue, in place of the half-title. This is the only place the series is indicated in or on the book. 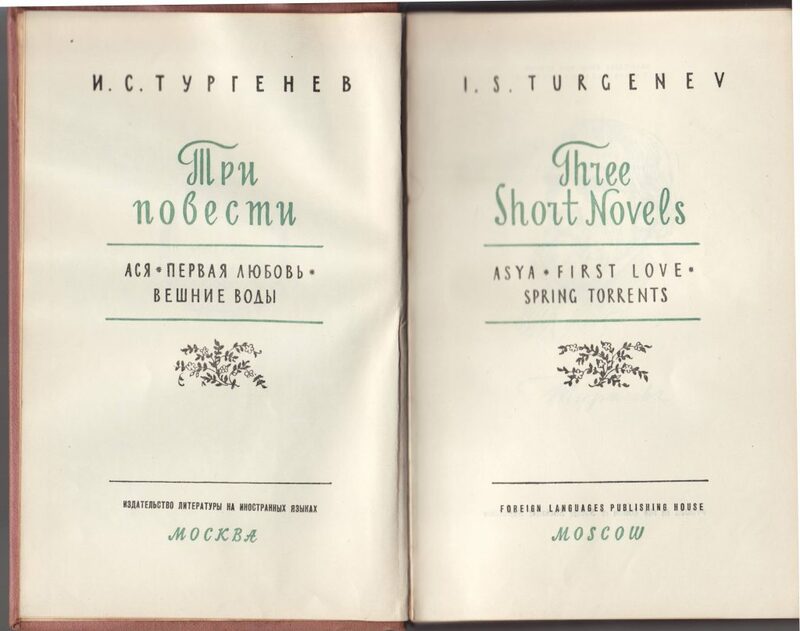 Two facing title pages are included, the one on the left in Russian and on the right in English. The title pages are printed in two colors. The book was translated by Ivy and Tatiana Litvinov. 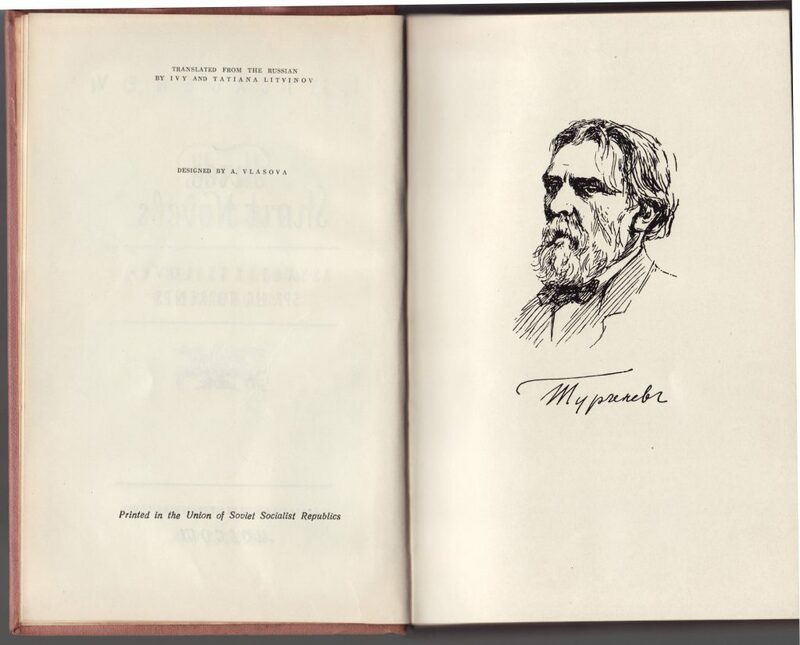 The book was designed by A. Vlasova and printed in the USSR. There is no date.